If you are interested in learning about the history and people of Penang, the State Museum in Georgetown Penang has lots of information and displays of the various people's that have settled here and the history of the island from early settlement, to the British colonial rule and the Japanese occupation during World War Two. 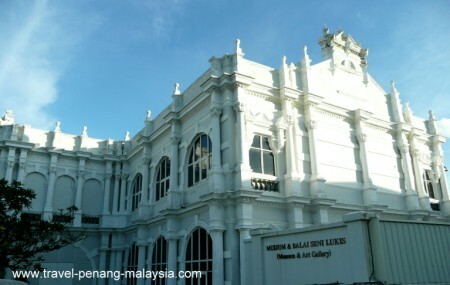 There used to be the Penang State Art Gallery in the same building, but this is now located in the Dewan Sri Pinang building, near the Esplanade. Unfortunately you are not allowed to take any photographs inside the museum, so I cannot post any here to show you what it is like inside. If you are in the area or it is a rainy day, it is worth spending a little time to visit. 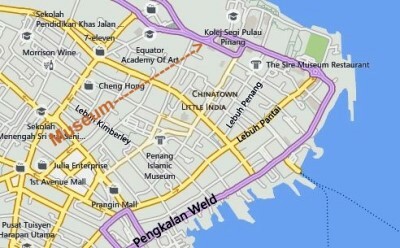 The Museum is located on Farquhar Street (Lebuh Farquhar) which is the main road that travels around the edge of the old part of the city, a short walk from Penang's Esplanade and Saint George's Church. The museum is easily reached by foot from anywhere in the old part of town. 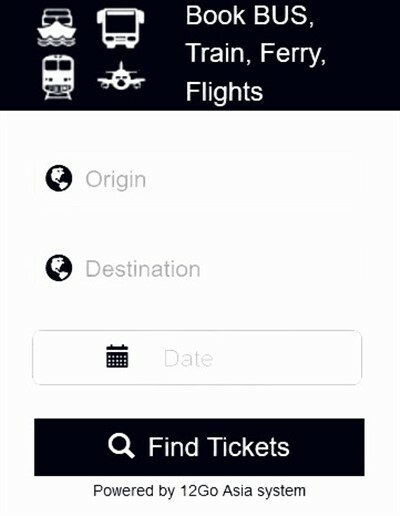 If you do not want to walk, you can make use of the RapidPenang free bus that travels around the old area of the city. There is a bus stop very close to the museum building if you are coming from the jetty, or get off at St George's Church on Pitt Street if you are coming in the other direction from KOMTAR. Just a minute or so walk down the road from the Museum is the St George's Anglican Church. Once you are at St George's, take a left and you will see the Penang Esplanade on your right when you reach Light Street. Here, you will find the old British fort of Fort Cornwallis. Heading in the other direction from the museum and just past Penang Road, you will find the old Colonial Cemetery where many of the early settlers of the island are buried. Click the links / pictures below for more details of these places.